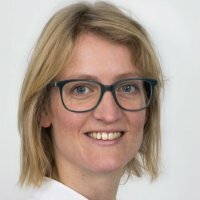 Dr Renske Oegema, MD, PhD is a clinical geneticist who works in the University Medical Center Utrecht (UMCU), in the Netherlands. She specializes in neurogenetics- mainly brain malformations and epilepsy - and dysmorphology. She has been trained by Dr Grazia Mancini (Rotterdam) and Prof. Bill Dobyns (Seattle). Dr Oegema is Co-leader of Neuro-Mig Network Work Group 1 (WG1). Additional scientific publications by Renske Oegema can be found here.